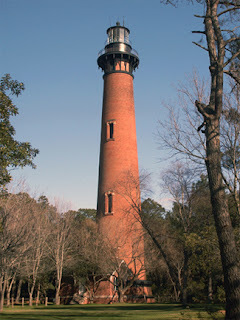 This summer, my family and I visited the Outer Banks, North Carolina, where we saw and climbed several lighthouses. We also had the opportunity to visit the Wright Brothers National Memorial. In honor of the accomplishment of these people, I wanted to share a story I wrote a few years ago. Hope you enjoy this piece of history. Addie Tate, postmistress of Kitty Hawk, North Carolina, didn’t know what to make of the letter that came that day in September, 1900. But she knew who could – her husband William. An employee of the U.S. Life Saving Service and future keeper of Currituck Lighthouse, Captain Tate read the letter addressed to “the man in charge of the surrounding territory, to learn whether there are any sand hills” from a man named Orville Wright. Mr. Wright said in the letter that he and his brother were looking for a place to test their gliders. Captain Tate had recently read a magazine article about gliders and attempts to fly them, so he eagerly responded, giving the Wrights a detailed description of the area including sketches and weather conditions. According to Orville, Tate gave them such thorough information they decided Kitty Hawk was the right place to test their equipment. The Wright brothers arrived in Kitty Hawk and stayed at the Tate home, where William and Addie learned about the flying machine the brothers planned to launch at nearby Kill Devil Hills. The brothers’ excitement was contagious, and the Tates offered to lend help any way they could to see the dream come true. With prefabricated pieces from their Ohio shop, the Wrights assembled their first experimental glider in the Tates’ yard. An adjustment had to be made to the sateen wing coverings and new ones were sewn on Mrs. Tate’s sewing machine. In addition to helping the brothers with many experimental launches of the glider, William and Addie provided encouragement as well, even at the risk of ridicule from others in the community. 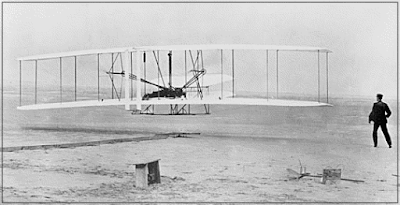 When William attempted to defend the Wright brothers, citing the fact that other things as wonderful had been accomplished, he was quickly told that he was “a darned sight crazier than the Wrights” for believing in them. William never gave up his enthusiasm for the project, though, enlisting the help of his cousin and co-workers from the Kill Devil Hills Life Saving Station. Then on December 17, 1903, Orville Wright accomplished the first flight of a heavier-than-air flying machine. William Tate became a confirmed aviation enthusiast himself, a member of the National Aeronautical Society and in 1920, made an inspection of lighthouses in an airplane flown by his aviator son-in-law. The Wrights and the Tates remained close friends and in 1928, on the 25th anniversary of their first flight, a plaque to the Wright Brothers was unveiled in the Tates’ front yard on the spot where the glider was first assembled. No doubt the Tates’ encouragement provided support to the Wrights when most people thought their idea ridiculous, impossible, and impractical. However, in addition to giving their support, the Tates also benefitted from being part of the experience, enjoying the success as well. When has someone else's encouragement helped you to accomplish something? 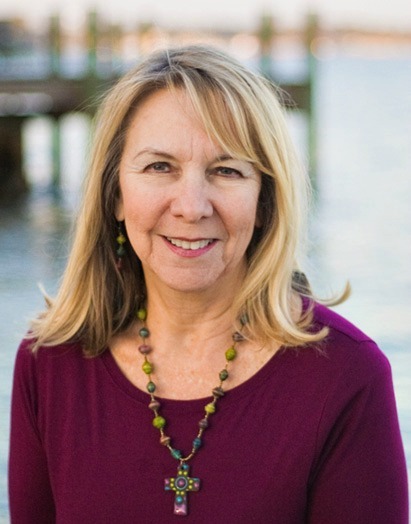 Award-winning author Marilyn Turk lives in and writes about the coast – past and present. A multi-published author, she writes a weekly lighthouse blog at http://marilynturk.com. 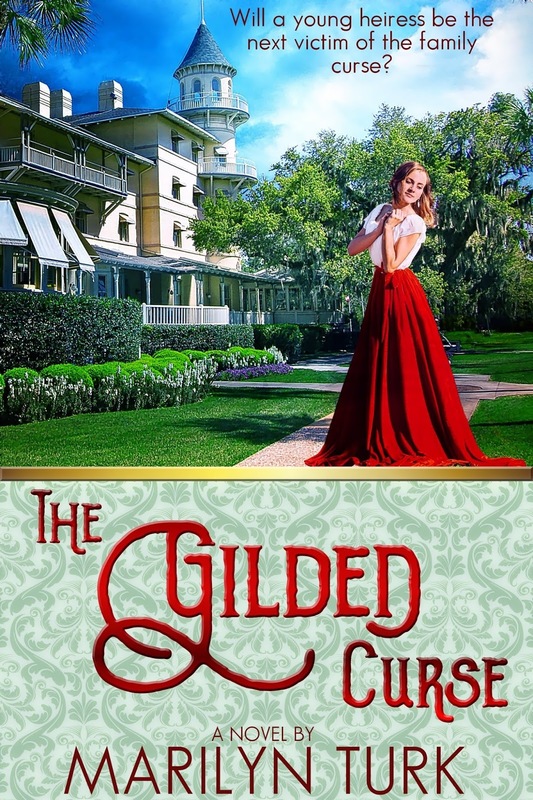 Her book, Lighthouse Devotions, and her latest novel, A Gilded Curse, is available on Amazon and in bookstores. I've never heard that story before. It's a good thing for all of us that the Wright Brothers didn't listen to the discouraging talk. Kudos to the Tates! Thanks for your comment, Vickie. Yes, encouragement can help silence the negative messages we get. Very cool story, Marilyn. It's always nice to the story behind the story and to know that encouragement makes a difference. I find lighthouses and planes fascinating. What an interesting combination! When I almost gave up on getting published it was the encouragement of good friends that kept me trying. I couldn't make it without encouragement, Kathleen! If it wasn't for the encouragement of one of the Sunday School teachers from my church, I never would have had the courage to begin teaching Sunday School myself.....I taught over 20 years. What a great witness of how encouragement can change not only your life, but the lives of those you taught!